Get your mock neck shirt style going the right way with stylish black long sleeve mock neck shirts by Pronti. These silky long sleeve mock neck shirts are perfect to wear with either dress pants or even under a suit when you just don't feel like wearing that tie. 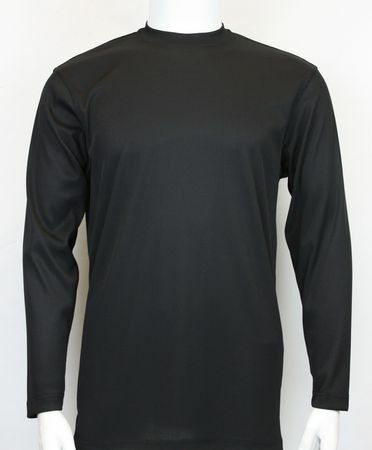 This black long sleeve mock neck shirt features a micro line texture and is made of silky stretchy poly/nylon.